Malaysia Airlines is the flag carrier of Malaysia and serves over 100 destinations across 6 continents from its main base at Kuala Lumpur International Airport. It maintains a strong presence within East and Southeast Asia, and on the Kangaroo Route between Australiaand the UK. Its narrowbody fleet comprises solely of Boeing aircraft, and its widebody fleet comprises both Boeing and Airbus aircraft. The carrier announced in Jun-2011 its intention to join the one world alliance and will join on 1-Feb-2013. 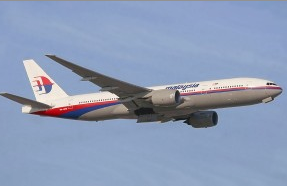 MASkargo is the cargo division MalaysiaAirlines and operates scheduled and charter air cargo services. Capa Aviation. On July 6, over 300 members of the Travel Industry and media in Vancouver, Canada were treated to a spectacular evening climaxed by a multicultural dance presentation that was truly outstanding for its color and variety. The theme song featured throughout was "Malaysia Truly Asia" and this theme was echoed in the video images, costumes and unique brand of hospitality. Our last major Asia Pacific effort was at Apec '97 when we published a special edition of Air Highways for distribution to many of the 10,000 guests for that great event in which Malaysia was well represented. Now we're presenting an encore, only this time Malaysia will be the major focus of our edition. Watch for it plus a profile of Malaysian Railway in ourAdventure Rails Edition. 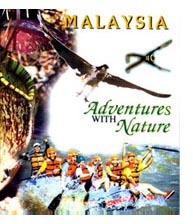 The above booklet by Tourism Malaysia contains Map of Malaysia, Introduction, Mountain Climbing, Jungle Trekking, Bird Watching, Cave Exploring, White Water Rafting, Off-road Driving, Angling and Scuba Diving. This brochure published by Tourism Malaysia. More details about Malaysia as a trade and tourism destination will be featured on this page along with current flight information, tour options and links to hotels and services. the feature will include several important excerpts from the Malaysian Tourism Minister's very enlightening mesaage to the travel industry and media. His talk focused on Malysia's record as a stable democracy and how racial harmony has made it a great location for tourism and a shopping Mecca. Yes- this is just the beginning. There is much more to come on Malysia as a destination for business and pleasure.